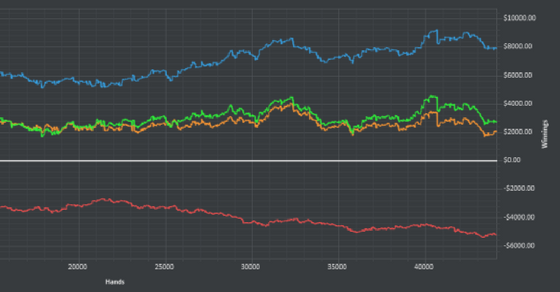 Are your results in poker basically a flat line? In other words, you aren't losing but you aren't winning yet either? This means that you are playing break even poker which is a spot that many people find themselves in. The most common ways to stop playing break even poker are to fix your leaks, make sure you are value betting correctly, get rid of your tilt problem and learn the strategies to crush the regs. By paying attention to all of these little details you can take your poker game from break even to big winner. It's not all bad though. Because it is important to remember that most people actually end up losing at poker in the long run. So break even results means that you are definitely doing several things things right already. But I don't play this game to simply get my money back and I bet you don't either. I play this game instead to crush it for the highest win rates possible. So in this article you are going to learn the strategies to help you stop playing break even poker once and for all. 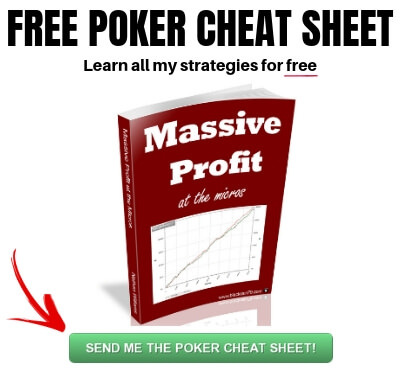 The first thing that you need to do is find out where you are losing money at the poker tables. And what I mean by this is spots where you are not getting enough value (you aren't winning enough). So the easiest way to do this if you play online is to just go into PokerTracker and search for all of your biggest losing pots. It's extremely simple to do. Just go to the View Stats and Results tabs, enter the stakes and the date range and it will bring up all of your hands below. Sort by the biggest losing hands and start going through them one by one. Now keep in mind that most of your biggest losing hands (i.e. where you lose your entire stack), are simply going to be coolers and sometimes bad beats. For instance, you had KK, they had AA, and all the money went in preflop. There is no point in worrying about a hand like this because everybody goes broke here. This is what we call a "cooler" in poker. Sometimes you will be on the right end of them and sometimes the wrong end. In the long run it all evens out so there is no point in paying them any attention. So you instead want to look for those hands where it was possible to get away, or at least to lose less. For instance, could you have folded that overpair earlier on when your opponent was clearing telling you that they had a set? Or could you have folded your top pair when a tight player raised you on the river? These are all those little spots (leaks) that are preventing you from becoming a winning poker player. They are why your results are break even. You have to learn from them and fix them if you want to start showing a profit from poker instead. But finding the leaks in your losing hands is actually only half the battle. Many people forget that you can also have leaks in your winning hands. What I mean by this is that you are not getting enough value out of them in a spot where a winning player would get an extra bet. So the process is very similar. Within PokerTracker you just enter the same parameters that I mentioned above but this time sort for winning hands instead. Now the same caveats apply. Most of your biggest winning hands where you stacked them are not worth looking at. You got max value after all. They will often also just be coolers that happened to go your way this time. So you want to look at all of those smaller pots where perhaps you only got half their stack when you both had an overpair, but you had the better overpair. Why didn't I get their whole stack here? Did I miss a bet or a raise somewhere in this hand? Leaving money on the table like this (missing bets or raises that they would have called) is another huge reason why your results are currently break even. If you want to start crushing the games, then you need to make sure that you are never missing these extra bets. Probably one of the biggest reasons of all why some people only get break even results in poker is because they tilt all of their profits away. What this means is that when they hit a bad run of cards (i.e. lots of coolers and bad beats in succession), they get frustrated and start making bad calls, overly aggressive plays and so on. In fact, when you go back through some of those losing hands like I suggested above you might find that tilt was indeed the main reason why you lost more than you did in a few of those hands. Tilt is simply the killer of bankrolls, dreams and entire poker careers. It is something that you have to learn how to correct or you can never be successful in this game. Use meditation or visualization prior to poker sessions. 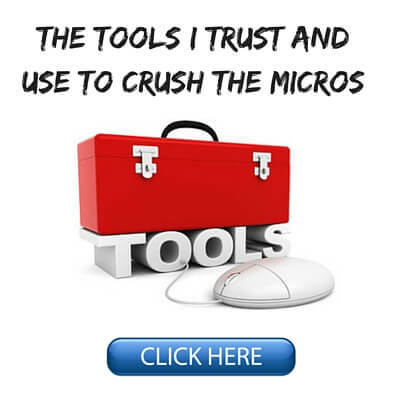 I discuss all of these in my new book The Micro Stakes Playbook. And there are many other methods to quit tilting as well. But these are probably the 3 most important ones. You need to recognize when you are feeling frustrated at the tables and you are on tilt. Your decision making will be greatly diminished at this point and you need to develop the discipline to quit. 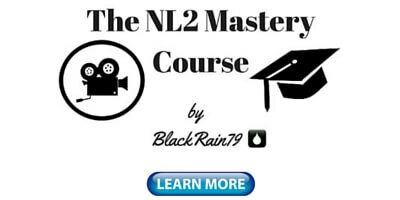 However, if you feel like you are not over the edge yet into full blown tilt, then you can use a method I call rationalization in the book to quickly review a hand, inject the logic back into a bad beat and quickly move on to the next hand. Lastly, meditation and visualization are something that I highly suggest prior to each session. You don't want to be bringing any emotional baggage in from a previous session. You want a completely clear and positive mindset. Nearly all other professional athletes have pre-game rituals that sometimes last for hours. If you take poker seriously, then I would recommend spending as little as 10 minutes prior to a session mentally preparing for battle as well. Perhaps the most important pro-active thing that you can be doing to stop playing break even poker and start crushing the games is to find the optimal strategies to beat your opponents. Now once again this all comes down to preparation and study. And more specifically, this means game planning versus specific players before you even sit down to play. If you play online this is once again made easy by simply loading up PokerTracker and analyzing your opponents in detail there. But I also want to be as efficient as possible with my study time. So I am only going to focus on the players who I play against the very most (i.e. the regulars). 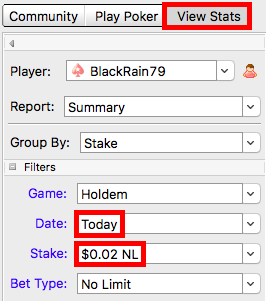 The My Reports tab in PokerTracker is literally ground zero for this. 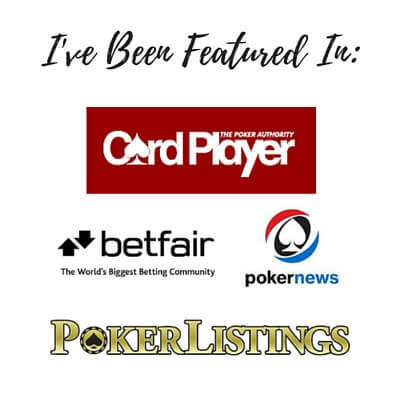 You can search for any player you want and analyze their poker game from top to bottom. In order to find the exact strategies to crush them I will enter custom stats and then make a note when I find their leaks. Player X continuation bets (CBet) on the flop 80% of the time but only follows it up with another bet on the turn 40% of the the time. This is an absolutely massive leak and there is a very simple counter strategy to take advantage of it. I am going to float the flop and bet the turn against this player like crazy in the future. Boom, I have a rock solid strategy to literally start printing money against this player in the future. Rinse and repeat for all of the regs in your games. Now I know that some of you who are reading this play live or don't use a poker tracking program. The process is still the same though. You need to be actively thinking about each of your most common opponents and creating strategies to crush them based on their leaks. Break even poker players play everybody the same. 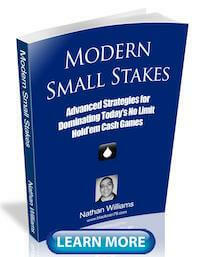 Elite winning poker players have a specific tailor made strategy for every opponent. Probably the easiest way to start changing your results from break even to profit is to simply change who you play against. Or in other words, increase your edge. Poker is a pretty simple game at the end of the day. Since you are primarily playing against other people (not the house), your results are going to be directly attributable to who you play against. If you choose to consistently play against tough highly skilled players, it is going to be pretty difficult or even impossible to ever crush those games. This is because no matter how much studying and preparation you do, your opponents simply do not make enough mistakes. So this is why table selection is so key in today's games whether you play online or live. There needs to always be a clear reason why you are playing at the table. From extensive research in poker tracking programs over the years I have come to the conclusion that fish (recreational players) lose their money at least 5 times faster than the very worst regs in the long run. Therefore, it doesn't take any kind of super genius to figure this one out. If you consistently play against these players, then it is literally a mathematical certainty that your results will improve as well. People often tell me though, I play on a small site, there are only 5 tables available. Pick another site then! Play at multiple different sites for increased table selection. 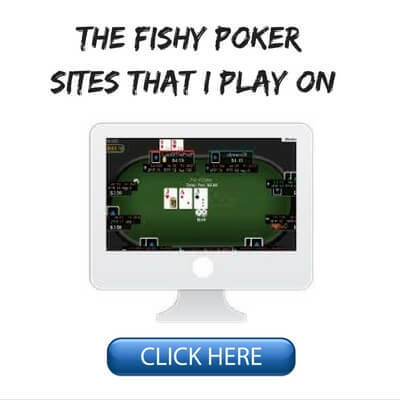 There are literally hundreds of places to play poker online. Here are some of the best ones. And even if you come from a country where the government has currently restricted where it's citizens can play poker online (America, Australia), there are still plenty of options as well. Lastly, I am not sure that I have ever seen a live poker game at the lower limits that didn't have at least one completely clueless fish in it, so there isn't even much to say there. Bottom line, play with the recreational players all the time (not just some of the time) and your results will quickly turn from break even to profit. Many people struggle playing break even poker for years and years on end. But it really doesn't have to be this way. You can change your results by spending some time away from the tables finding your leaks, both in your losing hands and in your winning hands. While you are at it, you should also spend some time studying your opponents to find their leaks and how to exploit them. Lastly, if you really are serious about moving beyond break even poker, then you need to finally fix that tilt problem and make sure that there is always at least one clearly bad recreational player at the table. 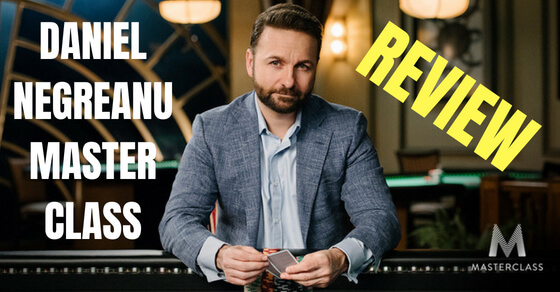 Let me know in the comments below how you plan to stop playing break even poker. Or if you already have, feel free to brag a bit about your results. 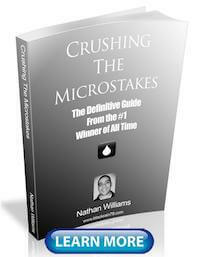 If you want to know that strategies that I used to create some of the best results in online poker history at the micros, make sure to pick up a copy of my free poker ebook. Great post as usual! I stopped playing break even, losing really, a few years ago when I started following your blog and reading some of your books. Since then I have moved up to NL50 and taking shots at NL100. I think spending more time studying my leaks and the other regs has been huge. Nice work TJ and glad I could help! hey host, can you make a satellite specific post? I mostly talk about cash games on this site. I am not really a big tourney player or an expert on them. But I might write something up about satellites in the future. Thanks for the suggestion! As always, a great post! as you know and we discuss earlier I have (and still have) a serious problem with break even. Currently I am in a 126.000 hands break even But I'm face another problem now: I cannot sustain long sessions winning. 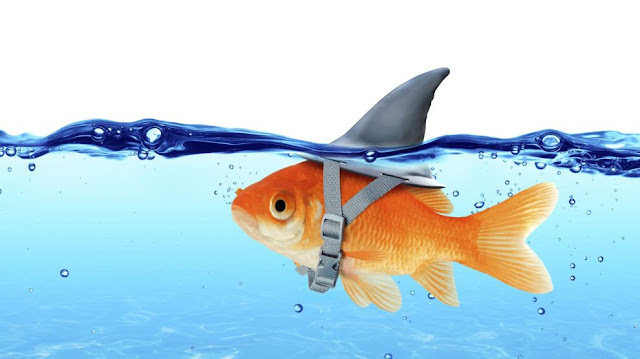 I start good, winning 50, 100, 200bbs, playing good A game, winning thin values, making big folds in clear trap situations, making table selection, crushing the fishes and after about 1 hour, when I am with a good profit happens a big cooler or that 5% bad beat situation and loose a big part of the profit or all...and when I review my sessions I noted that normally I quit earlier my winning sessions, in 15 or 20 minutes, usually after win a big pot to prevent losses. This the right strategy ? Any advice ? I play 6 or 9 tables NL5 and my sessions are of 700 hands, about 1 and half hour. Sounds like normal variance to me unless you are tilting or playing poorly in long sessions. Regarding break even, you should look into the fundamentals of your game like I discuss in this article. 1 - What is the best strategy in your opinion: Should I quit the sessions right after I win a big pot ? Or should I quit right after I achieve a target number of profit, like, for example, 100 bbs ? Or should I playing for a target amount of hands/time , like 700 hands or 1 1/2 hour ? 1. Poker is a long term game. You should only quit a session because you are ready to quit or you are on tilt. 2. I would analyze much lower than that. The big pots are often just coolers. Just to chime in I use a program called tiltbreaker. Basically if I lose a certain amount of money (I can set it) it stops me out of the games for a certain time. I know that at point I am tilting and cant play my best. It’s a stop loss program. Yes, Tilt Breaker is a great tool, I'm a long time user. Probably it´s one of the reasons that I'm a break even player instead of a loser player!